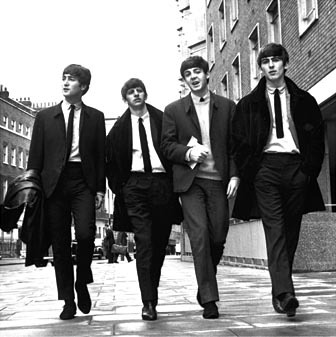 The Quarrymen become the Silver Beetles, the Silver Beatles and finally The Beatles. Various bass players and drummers come and go. John invites non-musician art school friend, Stuart Sutcliffe to play bass in his group. Pete Best becomes the drummer. Final name change to The Beatles. August: First of five extended visits to Hamburg. Perform at clubs such as the Kiaserkeller and Indra. Begin to establish sound and identity. December - 1st British performance as The Beatles, at Casbah Coffee Club, Liverpool. The Beatles return to Liverpool. Stuart remains in Hamburg with his girlfriend. Tragically, he dies soon after - his death has a big effect on on John. November 1961: A local fan orders ‘My Bonnie’ from Brian Epstein’s record shop. Epstein visits lunchtime concert at The Cavern. Becomes new manager. Brian begins changing image (leather out, suits in).